Athletes and people interested in fitness often rely on nutritional aids. These dietary aids are called supplements. They help to provide things that may be lacking in your diet. These products can be used to meet fitness goals. Bio-Engineered Supplements and Nutrition, or BSN, is a company that has been around since 2001. It creates products for serious athletes. They are a trusted brand for fitness. Their products have received more than 35 awards. These products are available around the globe, including 90 countries. BSN makes sure that their products are as pure and safe as possible. They develop their supplements using safe manufacturing processes. These are from the U.S. Food and Drug Administration's Good Manufacturing Practices (GMP). This company has received several awards of recognition for product safety. These awards add credentials to the brand, providing knowledge to the buyer that the products meet nutrition and herbal guidelines. There are also some studies that have been done to look at these supplements. The studies have shown that protein products help with muscle strengthening. Walgreens stocks a wide variety of products from the BSN supplements collection. They offer wide ranges of prices by formula. These products were developed for convenience, and are used by busy athletes. Some of the BSN products serve as meal replacements. There is also the option of protein powders. In addition, there are specific products to match your fitness goals. For example, there are formulas for building muscle strength. 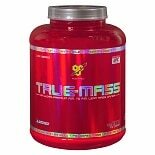 There are also formulas that help increase muscle size, while others increase muscle endurance. Some work on energy levels. BSN products are made to fit individual fitness needs. Not all dietary supplements are ideal for every athlete or person interested in living a healthier lifestyle. Even with high quality products like BSN, there is always a need to talk with your doctor and pharmacist to figure out if these are right for you. It is also important to discuss the best formula to meet your fitness goals. You want to be sure that the product you select will not interact with other supplements, over the counter or prescription medications that you take. The formula should work well with your medical condition and your fitness goals.